Every wonder about what your Hogwarts House colors may be? Every time I visit the Wizarding World Florida theme park, I wonder about which Hogwarts house color to buy for my souvenirs. My daughter is a huge Harry Potter fan and is a Slytherin. My son fits perfectly in the Hufflepuff house at Hogwarts. However, I have never been sorted so really do not know where I fit. I’m not “married” to any one Hogwarts house, so this can be a difficult decision. I like Gryffindor, because that’s Harry’s house, but Slytherin has a certain appeal to your darker side. Then you have Ravenclaw and Hufflepuff. Hufflepuff is the most inclusive among the four houses. They value hard work, patience, friendship and fair play rather than a particular aptitude in its members. 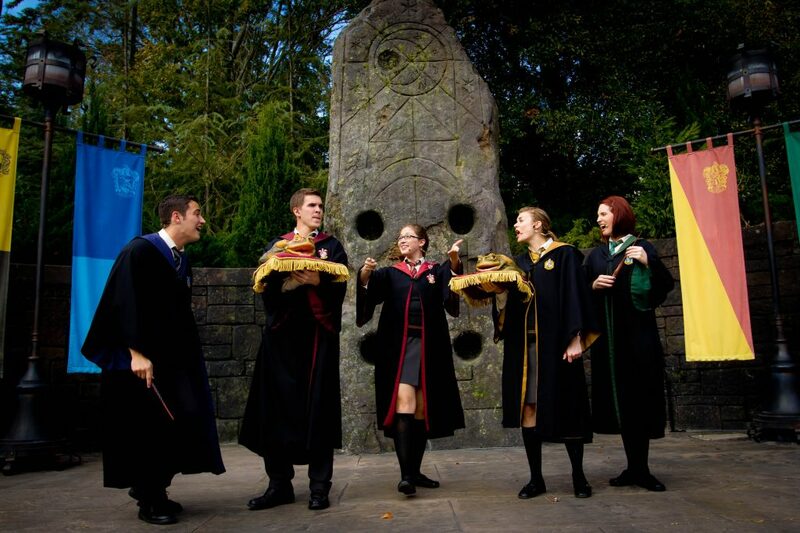 Members of Ravenclaw are characterized by their wit, intelligence, creativity, and wisdom. I feel like I am a good mix of all of them. Let’s talk a little bit about the Hogwarts house colors. These colors correspond to each of the Hogwarts houses. Pottermore explains these colors are loosely based on the four elements. These elements are water, fire, earth, and air. Can you guess which houses belong to which elements? After learning the colors for each house, do you have a guess of the elements for each house. It is not hard to recognize which colors go with which house at the Wizarding World of Harry Potter Florida theme park, as they organize all the souvenirs into the Hogwarts houses on the shelf. The hard part is figuring out which one fits you best. Now that I have learned a bit more about the Hogwarts house colors, I feel like I may have a favorite house. However, it is not up to me. It is up to the Sorting Hat. 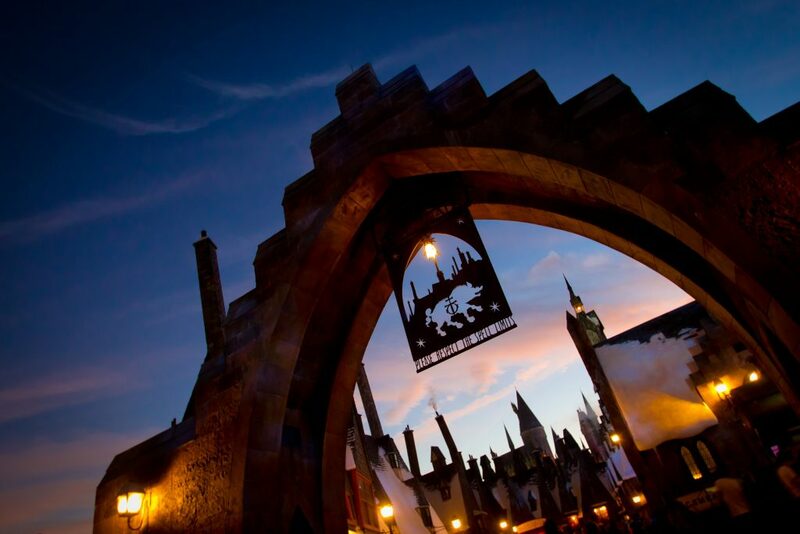 Now, before you travel to the Harry Potter park, you can try on your very own sorting hat to determine the proper Hogwarts house colors for your trip! I have two sites that I like to get “sorted” into the Hogwarts house. 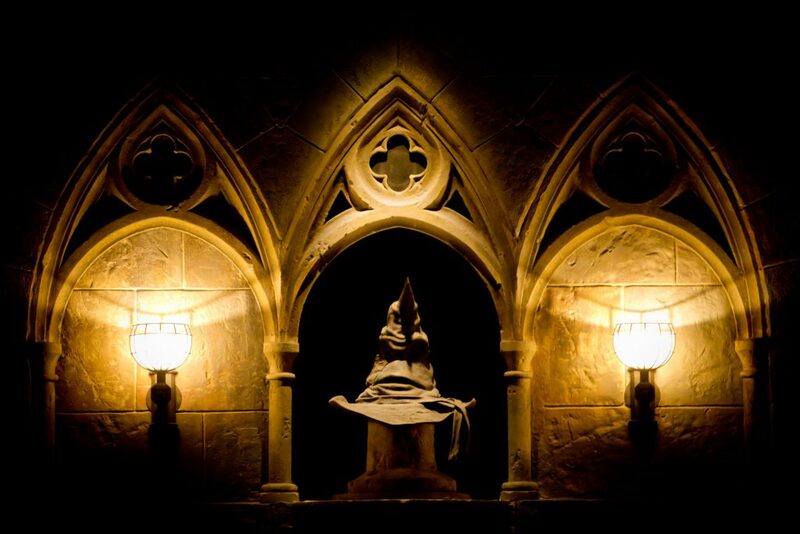 The first site is sorting-hat.com, it has a sorting ceremony that will ask you several questions and place you in a house! This is a great tool to help you decide on your Hogwarts house colors before you leave for the park. Another great resource is directly with Pottermore. You can discover your house directly from Wizarding World. After going through the sorting ceremony with both sites, I found I am the same for both. I belong in Gryffindor house! Now, we are a house divided. 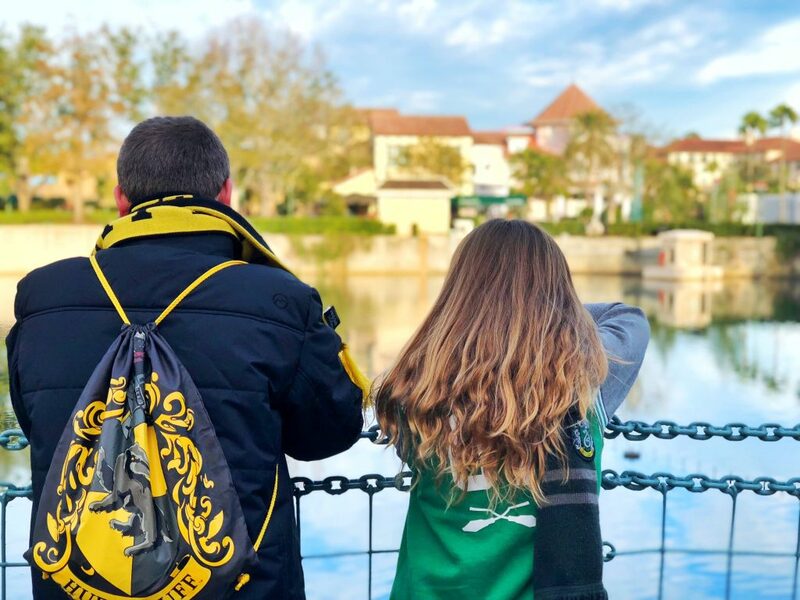 My wife and son are Hufflepuffs and my daughter is a Slytherin. Sounds like a great mix of Harry Potter in one family. 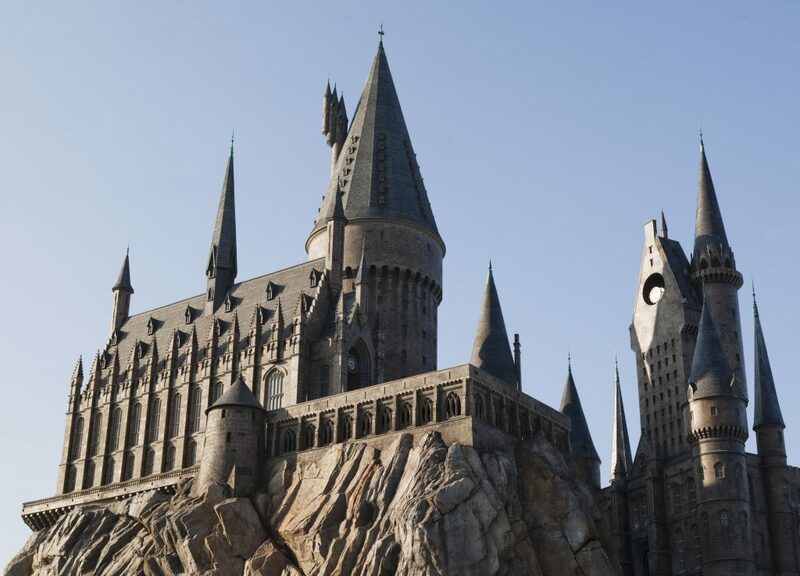 Now, the next time I visit the Wizarding World of Harry Potter, I’ll know which Hogwarts house colors to wear during my trip and what color souvenirs to buy.